Five valuable lessons I learned about building a brand from the ground up in the span of one weekend. Ever wonder how it feels to build a brand from the ground up…in less than 3 days? Last month, I got the rare opportunity to do just that, through a weekend-long branding event called Brandathon. 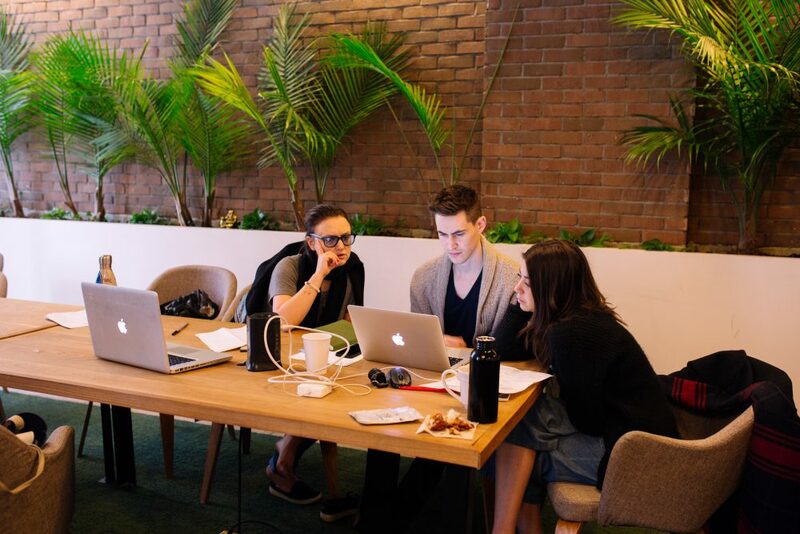 Held in NYC, Brandathon brings together 12 creatives with diverse backgrounds and pairs them with promising startups in need of branding help. I acted as a designer on my team of three, with 48 hours to strategically and visually rebrand a roommate-matching app. With the help of a marketing strategist and a copywriter, we started our journey at 5PM on Friday with the goal of creating a cohesive brand story by 5PM on Sunday night. Although it’s often overlooked, your audience is much larger than your target consumer – it’s internal, too. Needless to say, this was one tall order. But working with some of the best creative minds in the city on such an insane deadline has taught me a lot more than I ever could have expected about what truly matters for a start-up brand and how to find it, quickly. These are lessons I’m sure to take with me throughout my professional life in the design world, and far beyond. Your brand isn’t for you, so it’s important to understand how your message resonates with each of your various audiences. For a startup, time and money can restrict the capacity to research how your message is connecting. But there is an alternative. Shift your perspective and put yourself in the shoes of your audience, your competitors, your partners and your employees. Although it’s often overlooked, your audience is much larger than your target consumer – it’s internal, too. And it’s not just about how your target audience responds to your message but also about how each of these groups think and feel. What are they seeking and what are their needs? How does your brand present a solution to these needs? No matter how great your product or service is, it’s only as good as the brand behind it. The foundation of a startup is typically built upon a well-developed product or service, which can mean less focus on the brand narrative behind it. But great products alone are no longer enough. To be truly successful, a brand needs to stand for something – your audience needs to know what’s in it for them, instead of what you do. In this equation, the brand is your differentiator. It’s what consumers build a relationship and connect with and what motivates and empowers your employees. Though a brand has many dimensions and can change over time, it always stands for – or against – the same thing, and can go as far as to influence the culture around it. No matter how great your product or service is, it’s only as good as the brand behind it. Instead of searching for the “right” brand idea, quickly start exploring potential brand ideas – you can’t find the right answer without looking at the many possibilities . Start broad with a range of ideas, and see which ones are working and which aren’t. Be wrong fast in order to get to the “right” answer more quickly. Once this is established, you can begin to combine and experiment with the right ideas to craft and refine the brand story. If you can’t distill what your brand does into one brand message, how can a consumer? There are implicit messages associated with the look and feel of your brand which are determined by everything from your use (or non-use) of photography to the font you choose and the size you make that font. Even the smallest details can speak volumes about your brand, and if not considered they can clutter and even conflict with your brand message. Establish a design narrative – a look and feel or story that reinforces your brand idea – and infuse it into all of your brand’s communications. If you can’t distill what your brand does into one brand message, how can a consumer? How can your employees? Being remembered is hard enough and jamming multiple messaging points into your brand narrative makes it even harder. A simple expression that’s staunchly backed up by your existing brand experience will ensure you ‘own’ who you are – and that no one else can claim it. Find your loudest message, make it simple and make sure every interaction a consumer has with your brand delivers on that one unifying message.